Is Your Cat Acting Odd? Prices seem comparable and they are open on the weekend. This really helps with work. 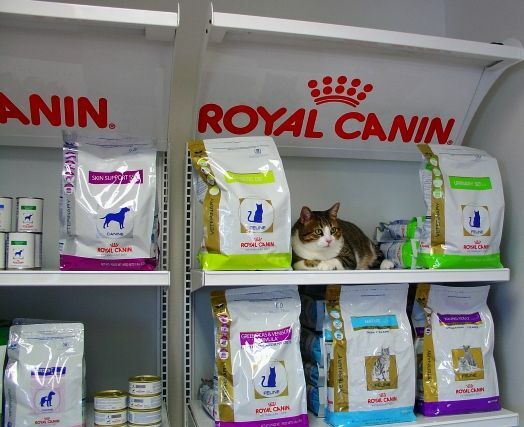 I trust them with the health of our cats and would recommend them to friends. Serious infectious cat diseases can be controlled by vaccination. With so many feral cats, your cat is quite likely to come in contact with an infectious disease sooner or later. Indoor cats are exposed to viral diseases carried in on shoes, the air, dust or clothing. Vaccination is cost effective protection against expensive treatment, or premature death caused by disease. Once your cat is past primary kitten vaccines, regular physical exams are the most important health care priority to detect and prevent health problems early. Getting Your Cat to the Vet Click for tips to get finicky felines into their carriers, in a low stress way, so you can safely bring them here for care. The brand, scent or litter type changed. Litter is too perfumed or dusty for cat’s preference. The box is as clean as the cat would like. Cat inadvertently is locked out of litter box reach. Too many cats and not enough litter boxes. House is too large for just one litter box. (important for kittens and senior cats). Litter box cleaned with harsh or smelly cleaning product. Location of box is not private enough for cat. Cat is creeped out by covered litter box. Cat has out grown litter box. 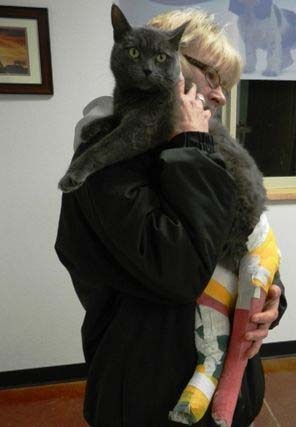 Cat suffered from bout of geriatric constipation. Location of the litter box changed to often. The cat is kept from using the litter box by another pet in the house. Thoo many cats and not enough territory. Stray cats seen out window or smelled through a screen near territory. Un-neutered male cat maturing and marking territory. Un-spayed female is in heat and advertising for suitors. If your cat is eliminating outside the litter box, and you ruled out the reasons above, your next step is to call Advanced Care Pet Hospital for care and advice. Avoid many of the viral and bacterial diseases listed here with proactive, preventative health and wellness care for your cat. Bring your cat to Advanced Care and we will help you address concerns about proper vaccines, parasites, fleas and treatment to help keep your cat healthy and happy. Respiratory diseases include: Rhinotracheitis, Calici Virus and Chlamydia Sneezing, etc. All are easily spread upper respiratory infections. All are highly contagious and widespread. High death rates occur in young cats and “old” cats. Symptoms include sneezing, fever, nasal discharges, runny nose, coughing, Conjunctivitis (eyelid infections), mouth ulcers, and general depression. Even stray cats that seem healthy may be a “carrier” infecting your cat, even through a screen window. Protection from these diseases come in the form of a vaccine. Immunity is built up by a series of injections increasing the cat's antibody protection over time. Viral and bacterial disease can and do mutate in the wild. Feline leukemia virus is transmitted through saliva, urine, respiratory secretions, and through the blood or milk of pregnant or nursing queens. It has not, however, been found to be contagious to humans. In outdoor and free-roaming cats, infection rates may reach as high as 30%. Leukemia is just one manifestation of disease which can result. Once the virus replicates inside your cat's blood cells, it diminishes your pet's resistance to other illnesses. Virus or bacterial infections causing mild symptoms in an uninfected cat become chronic, recurrent, and sometimes life-threatening in a leukemia virus infected cat. Respiratory infections, abortion, infertility problems, chronic gum infections, or fatalities due to bone marrow diseases, feline infectiousperitonitis, or tumor-forming cancers are some added illnesses which can plague your cat once infected with an immuno-suppressive virus. Vaccination: For indoor/outdoor cats, in breeding facilities, multi-cat households, and shelter cats. Feline herpes virus is the most common cause of upper respiratory disease in cats, it is more common in kittens, cats in stressed/overcrowded environments such as animal shelters and multi cat households. Kittens and older cats are more at risk than healthy adults, and are also at greater risk of dying. Once your cat becomes infected with the feline herpes virus he will have it for life. There are several strains of calicivirus which infect cats, and symptoms differ depending on the virulence of the particular virus causing infection. Some strains may cause mild symptoms only, others severe. In healthy adult cats, mortality rates are fairly low, however kittens and older cats are at greater risk. Sick, acutely infected or carrier cats shed FCV in oro-nasal and conjunctival secretions. Infection occurs mainly through direct contact. The panleupkopenia virus is a member of the parvovirus group. Another member of this family is well known as the cause of the deadly parvo disease in dogs. The diseases are particularly problematic because the virus is very difficult to kill and can persist in the environment for over a year. In the US today, more cats are infected with rabies than any other pet - about 250 cases each year (2013 Am. Assoc. of Feline Practitioners Feline Vaccine Advisory Report). All it takes to contract this deadly disease is exposure to an infected animal through a bite (or less commonly, a scratch or cut). Rabies is a public health hazard and personal risk to you. Even indoor cats may be infected through a bite with a carrier in a basement, garage, or attic. There is no cure.